A full day walk a part of a small group of usually no more than six people plus your guide, to climb Ingleborough. At 723 metres above sea level, this is the second highest mountain in the Yorkshire Dales National Park. The route we take from the village of Clapham was described by Wainwright as ‘The finest of all routes up Ingleborough.’ It avoids the busy '3 Peaks' paths. We walk through the privately owned Ingleborough Estate Nature Trail which has several points of interest along the route. 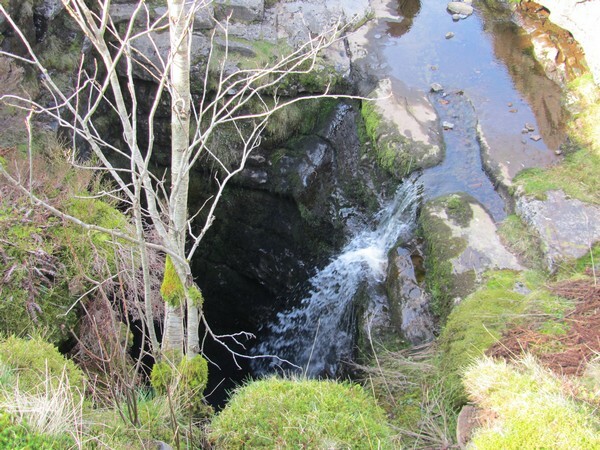 We then enter the spectacular ravine of Trow Gill, and we take a look at the famous Gaping Gill where a stream cascades into a large underground chamber. Then it's onward and upward to the summit of Ingleborough. If it's a clear day there are amazing views from the summit plateau. Our descent is via a different route where we will have the opportunity to see some good examples of limestone pavement, which is a distinctive geological feature, found in this area. The distance is about 10 miles/16km with about 730 metres of ascent. We meet at about 9:15am to be ready to set off at 9:30am in the Yorkshire Dales National Park Authority car park in the village of Clapham. Post code LA2 8EA. The car park is a pay & display and costs £4.50 per day. If you would like to stay locally the night before or after this walk, the villages of Clapham is ideal, or the villages of Austwick and Ingleton are nearby.